Wars are not intended to last forever, thank goodness, even though those fighting them and civilians enduring them probably feel that they might. And the sites built to launch wars aren’t meant to last, either. Sometimes governments find a secondary purpose for these structures, and sometimes leaders don’t think that far ahead. 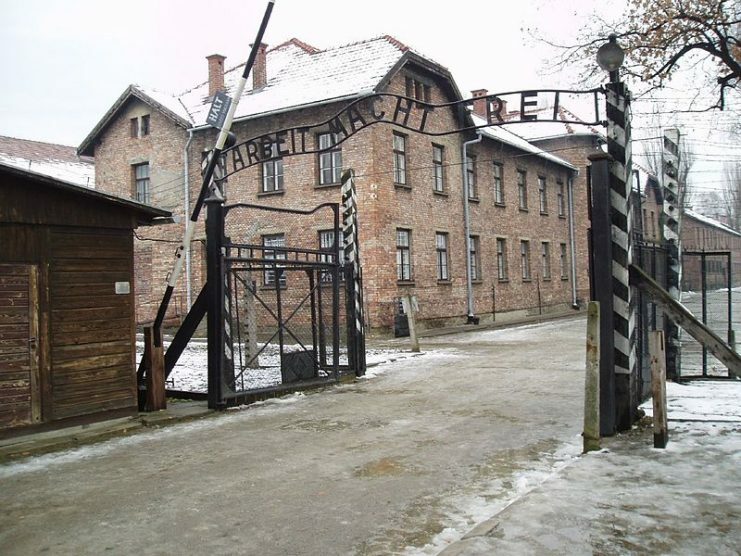 And some deliberately destroy those reminders of wars, because military leaders know trouble will come with their discovery, like the concentration camps the Nazis tried to ruin when the Allies closed in. Whether constructed to support a 1,000-year Third Reich or built solely to advance a war, some military installations have found new life at war’s end, while others have been left to erode. Occasionally, positive use is made of former installations. 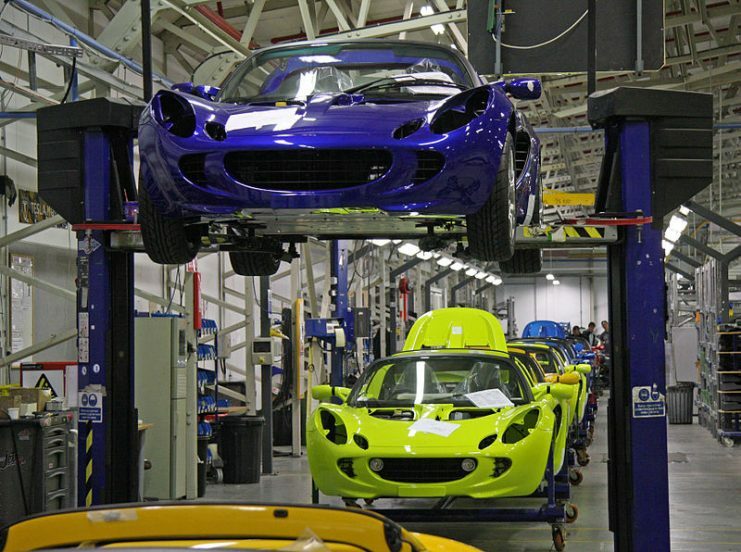 Lotus Cars have made an excellent example of that, by re-tooling a former RAF station in Norfolk, England. The firm turned the former base and runways into a thriving test track for its vehicles, spread over 55 acres. Other sites have come to more mysterious ends. 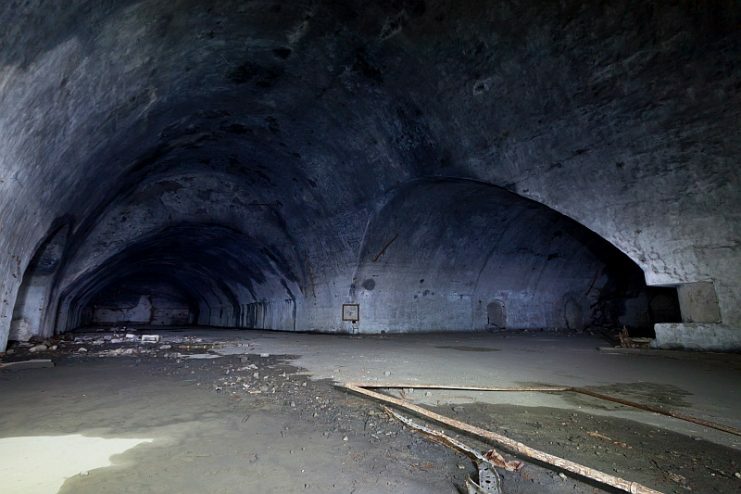 A spot in Crimea, the Zelijava Air Base, had an ominous purpose in the 1950s, when Stalin ordered the construction of a “safe house” for submarines, in the event of nuclear attack. The Cold War was just beginning and the Russian leader feared for the survival of his naval armament. Today, no one is quite certain what the area is used for, as Russia annexed Crimea in 2014 and it’s impossible to know how it’s being used. But its location on an inlet near the city of Balaklava is very close to a large Russian naval base. America, too, has bases and sites that were built for military purposes, at a different moment in history. Fort Ord, in Monterey Bay, California, for example, was opened in 1940, one year before America joined World War II. 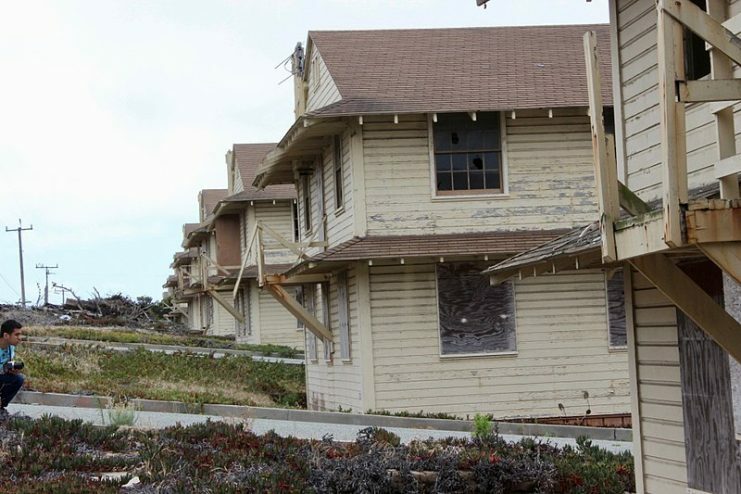 It is the largest military base in the U.S. ever to be closed, in 1994. Parts of it have been left to rot, but other parts have been declared important, both historically and culturally. Hence, it was declared a National Monument in 2012. The Johnston Atoll in Hawaii, also known as Kalama Atoll to Hawaiians, is at present under the purview of the U.S. Fish & Wildlife Service. Because it was used as a refueling station for the Navy, as a secret missile site and as storage for toxic and dangerous chemicals, no one is allowed entry without permission. It is considered a threat to public safety. 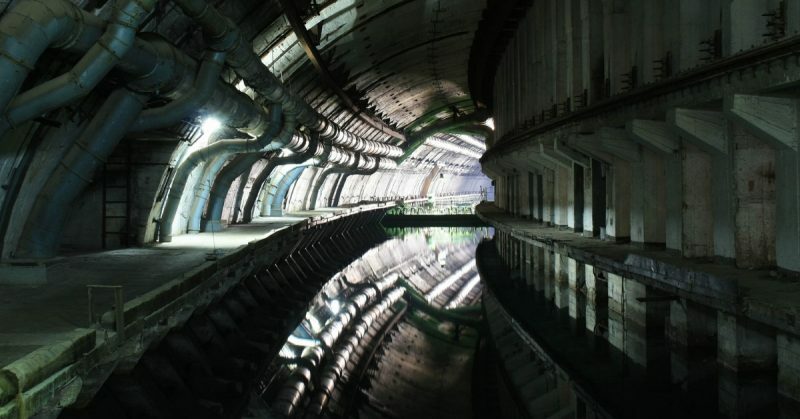 Back in Eastern Europe, on the border of what was once Yugoslavia, on the border of Croatia, Bosnia, and Herzegovina, sits the remains of the largest underground airbase in the region. It took two decades to build (1948 – 1968) and was used for use in the Yugoslav Wars. By 1992, the runway and entire site had been destroyed by the Army, which caused untold damage to the environment and nearby cities. Elsewhere in Eastern Europe, in the Ukraine, is a rusting out old radar system, the Duga-3, operated between 1976 until 1989 to “keep tabs” on Ukraine’s foes. It was closed just before 1990 and rots near the Chernobyl nuclear accident site. Predictably, both World Wars left vestiges of conflict all over Europe. A harbor in France, at Saint Nazaire off the Atlantic Coast, was usurped by the Germans after the Battle of France in 1940. 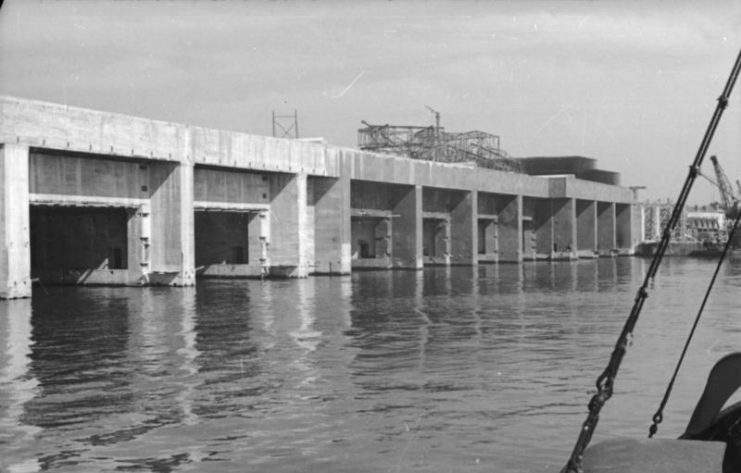 It was used for submarine operations, and eventually, a tower was built to protect it from air attacks. 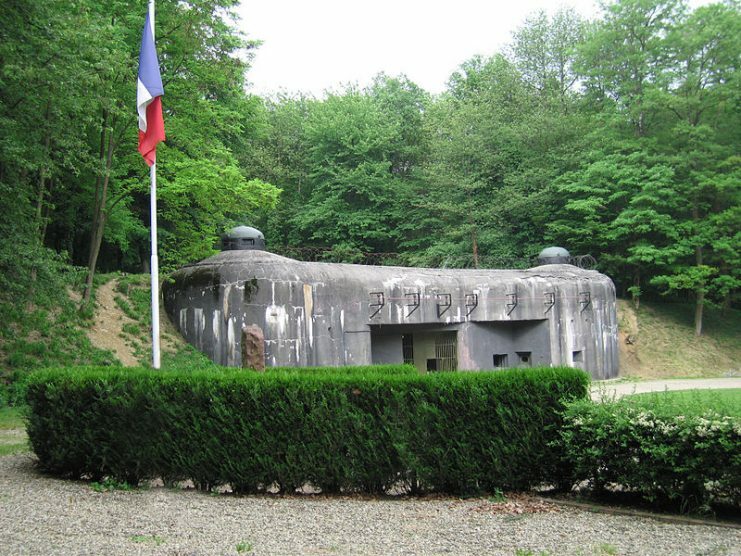 After the First World War, the French erected the Maginot Line, as a defense should the Germans attack again. (It was constructed in the 1930s, in Alsace.) But the French didn’t wish to insult the Belgians by building it along their shared border, which proved a fatal mistake. Though it consisted of many outstanding features, including bombs shelters and living quarters for many, the forts did not extend far enough. As history teaches us, the Germans once again invaded France by marching through Belgium and took over Paris, the entire country, in fact in a mere six weeks. Germany itself was not immune to concerns about air raids and invasions. And so anti aircraft stations known as “Flak Towers, were constructed throughout cities in Austria and Germany. Built in 1942 in cities including Frankfurt and Stuttgart, the towers were intended to repel enemy air power and give shelter to citizens in jeopardy from bombings. The munitions entrance to Ouvrage Schoenenbourg along the Maginot Line in Alsace. As an island, England was at great risk in the Second World War. 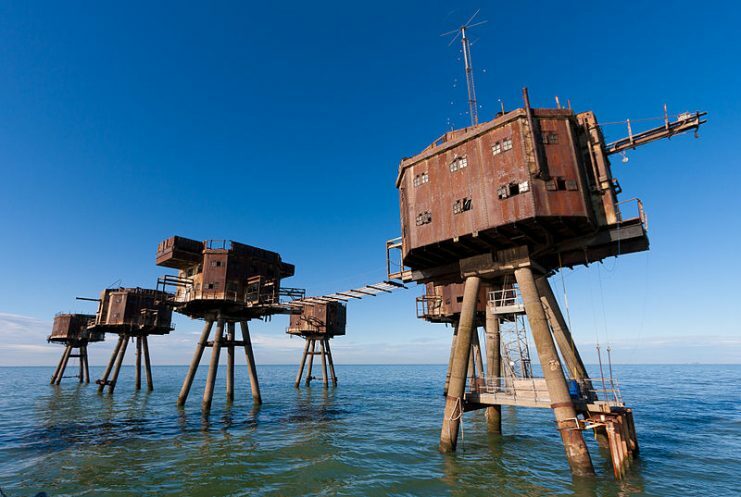 Its two primary estuaries, the Thames and the Mersey had reinforced towers installed, Maunsell Forts (named for the man who designed them,) to keep watch for the enemy. They were decommissioned in the late 1950s, as powerful corrosion from air and water had made them too dangerous to occupy. Many other smaller signs of wars exist throughout the world. Hollowed out buildings and other relics, war cemeteries and more sit as mute reminders of conflict in all corners of the globe. If only they could keep us from making the decisions that led to their construction in the first place.